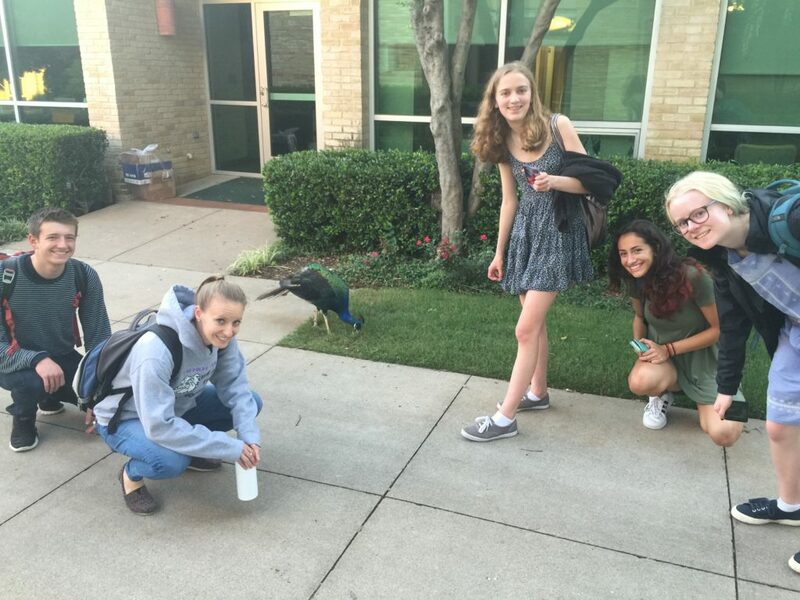 Kicking off the season in Texas, the Garfield Debate Team poses with one of the Greenhill School’s many peacocks. Welcome back to another year of Garfield Debate! Ms. Young and I are excited to see the team continue to grow this year… we have a new debate topic (US-China relations), a brand new batch of novice debaters, and our most competitive tournament schedule yet. In fact, this weekend already marked our first National Circuit tournament of the year! Stella, Luke, Petra, and Hannah travelled to the Greenhill Fall Classic in Addison, Texas, where they debated in the toughest tournament that Garfield has participated in to date. The tournament included all of the best teams from across the nation, and it was just incredible to see how much our team has grown over the summer. The tournament was a great experience, and the kids came away energized and with a good vision of what we need to work on this year to continue our success. I cannot wait to see what this year has in store for us!